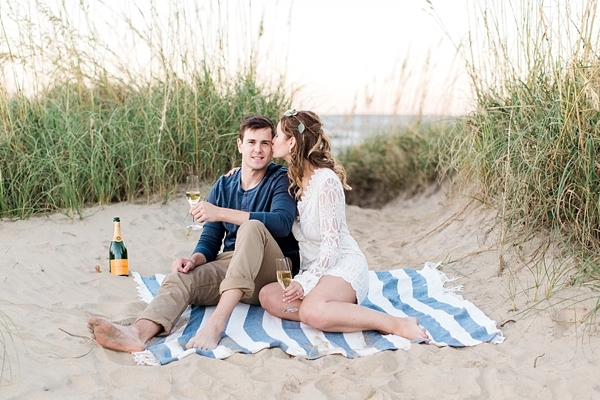 Claire and Joe's dreamy bohemian engagement session in Ocean View was a perfect combination of their fun-loving personalities and chic relaxed style. 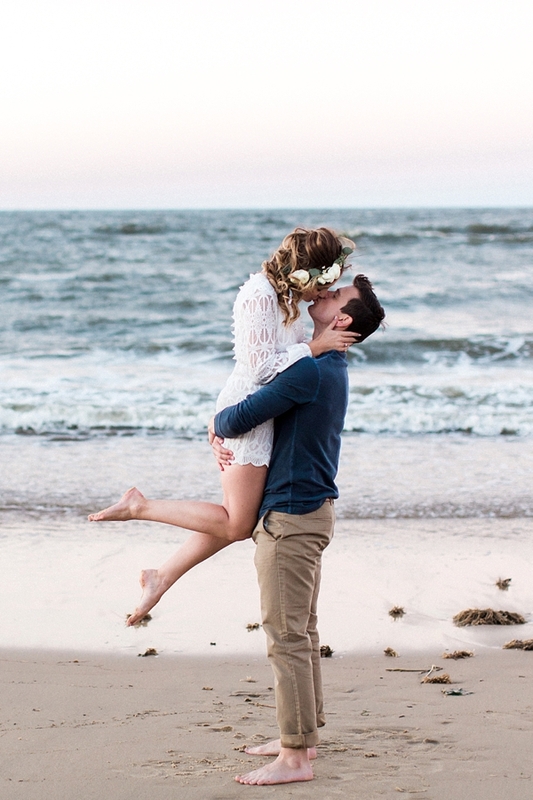 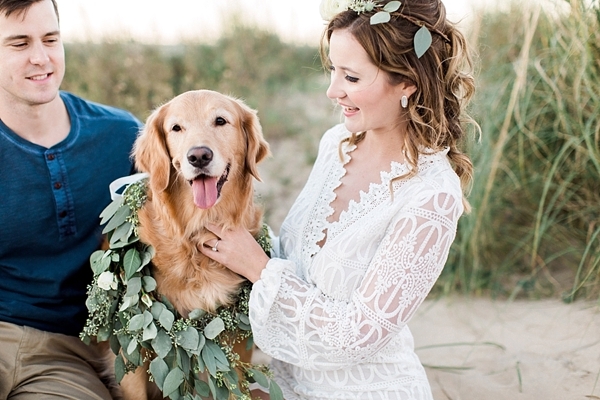 With fresh flowers, a bottle of champagne, striped beach blanket, and their sweet pup, Gracie, in tow, the three headed to Norfolk's East Beach with Molly Lichten Photography for a romantic date night and stroll on the sand. 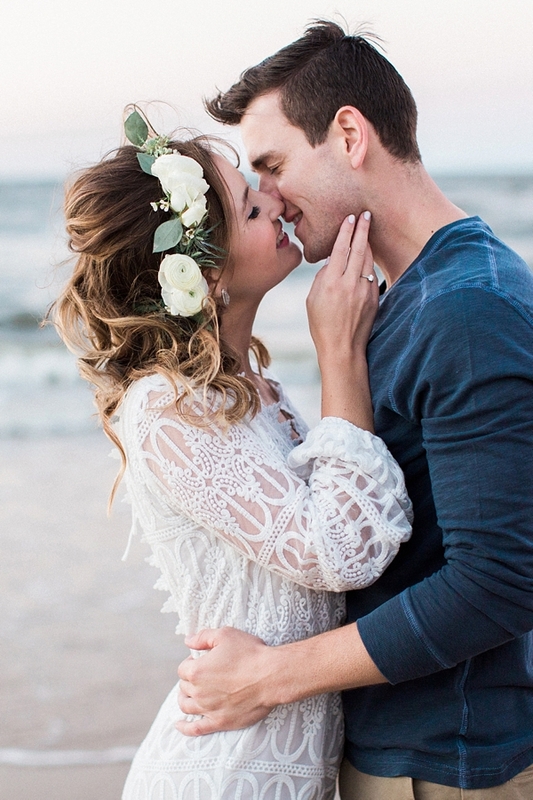 Between Claire's gorgeous lace romper to make all of us swoon and the delicate flower crown perfect for any boho bride, everything was effortlessly personal for these two lovebirds. 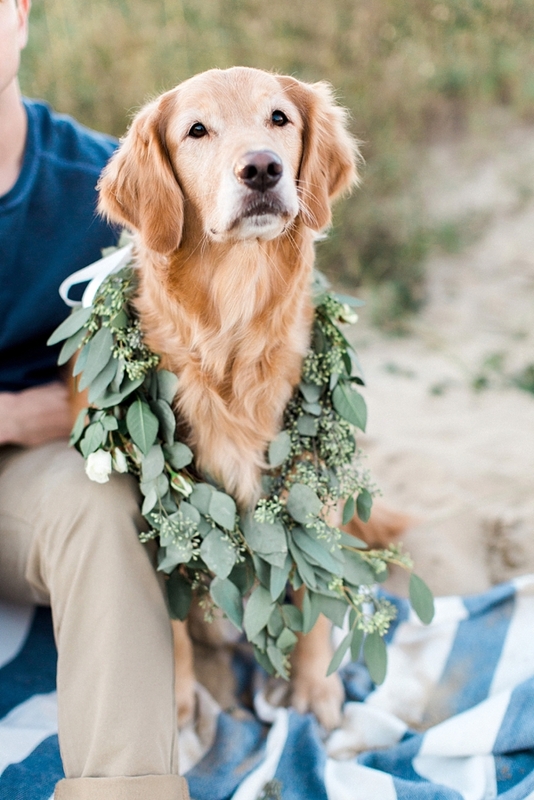 Even Gracie sported her own lush eucalyptus floral necklace just for the occasion!